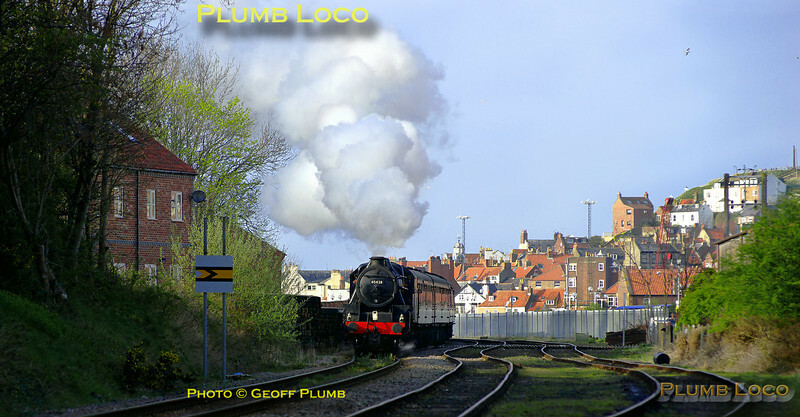 45428 "Eric Treacy" starts its train away from Whitby Town station at Bog Hall, the 17:30 to Pickering on a lovely spring evening, Saturday 9th April 2011. Digital Image No. GMPI8527.